If you play a Hunter, Battle for Azeroth has been a mixed bag as expansions go. Yes, we’re getting a host of new tameable pets and Marksman is getting buffed in 8.1, but to me the change that made my Hunter almost unplayable was the change to pet families. In Legion, any pet could be cunning, tenacity or ferocity as I desired. If I wanted a crane to tank for me? I could spec it that way. It gave me the freedom to play the game with any pet I wanted. Battle for Azeroth changed that, bringing back the old pet system (with some tweaks) that meant that a specific animal had a specific pet family — if you want a tank pet, you can’t just use any pet and spec it tenacity, you have to choose one of the tenacity pets. Neither my Devilsaur nor my Raptors are tenacity pets. And yes, it matters — leveling past 105 I really started feeling the change and I couldn’t keep my pets alive. I understood the change when it was made, because I’d seen it for years. It was the way Hunters worked back when I had zero desire to play them. Surprise — it achieved that aim again. Now you may be about to tell me that of course, Blizzard didn’t change Hunters back to needing specific pet families to make me stop playing one. And I’m not arguing that. What I’m saying was, the change was to my eyes pointlessly retrograde, and the consequence was that I no longer wanted to spend my time playing a Hunter. What’s next, bringing back pet happiness so that I could lose my pet if I forget to feed it? Ammunition? Ammo bags? How much of the archaic design of WoW past am I going to be expected to put up with? Yes, I blame WoW Classic for this. I don’t mean in the sense that I think it stole developers from Battle for Azeroth or anything like that. I believe Blizzard when they say they have two separate teams for the two projects. No, what I mean is that the vocal minority constantly howling for the ability to go back and play a game from 2004 have poisoned the water, so to speak — that enough people sounded like they wanted things to be the way they were in the distant, nebulous past that only actually exists in their rose colored memories that Blizzard started actually giving it to them. Perhaps consciously, perhaps unconsciously, but either way in ways great and small a retreat from the design we’d seen evolving over the past few years became a real part of Battle for Azeroth. The entire gearing system, for example, brought in a need to actually have sets of gear for your individual specs. This is a thing I’d finally thought we’d managed to get rid of two expansions ago. I played all through Vanilla, and The Burning Crusade, and Wrath, and Cataclysm, and Mists with the need to constantly collect a full off set just to be able to play the game. When Warlords came along and started making gearing simpler I was so, so excited. Not only did Azerite bring back off set gear, it actually made it even more complicated — it even introduced a Reforging system to it that isn’t even as much fun as Reforging actually was. Now, it’s not entirely fair to blame nostalgia for the Azerite system. Clearly, they were trying for a system that combined the Artifacts and the Legendaries from Legion. Just as clearly though, this was a case of looking backward — this time at the recent past — and trying to iterate on a system in a way that ultimately made it overly elaborate and unwieldy. And in that regard it reminds me very much of the return of Hunter pet families — it’s needless complexity that doesn’t actually add any fun gameplay for most players, even if there is a meaningful bit of player choice that can be teased out of the system. It reminds me of the threat and tanking changes as well, and it’s very much trying to turn the clock back on a game that’s moved on. I’m very much vocally critical of the tanking changes in Battle for Azeroth. Frankly, I don’t see any reason for them. Tanking was working fine — the active mitigation model had been fully integrated. 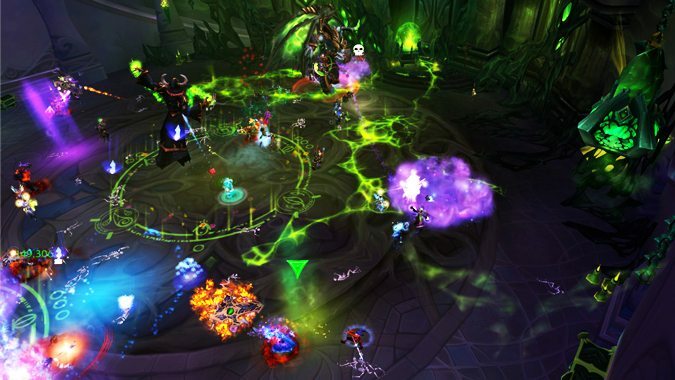 Tanking challenges were rooted either in properly maintaining your rotation to gather the resources to stay alive, or dealing with specific positioning and swapping changes that raid fights brought to the table. 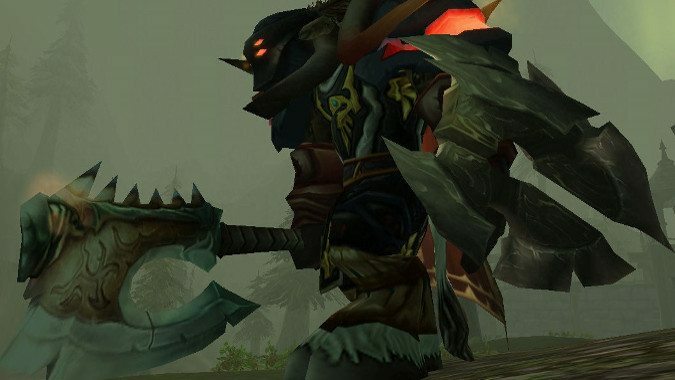 Making tanking not just harder but rooting that difficulty in having to go back to working for threat — a mechanic Blizzard has been saying isn’t that interesting as far back as Cataclysm — is a baffling decision. If threat’s not an interesting gameplay mechanic, why suddenly center it? Why make it harder to hold threat? It’s hard to look at these changes and not see nostalgia for an older system at play. Some tanks have been nigh unplayable this expansion, and I have to wonder why Blizzard felt the need to abandon a system that was working fine and kept players interested in the role. 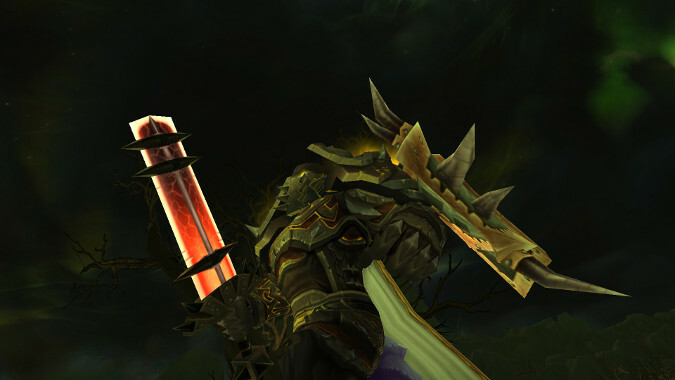 With multiple raid difficulties and Mythic + providing a continuously increasing difficulty in dungeons, I can’t say I grasp why you’d work so hard to make threat the hill groups die on, and I especially don’t understand why you’d take agency away from tanks and give it to the rest of the group in terms of forcing them to throttle their DPS instead of letting the tank control their threat generation better. It’s an archaic design — one that we haven’t seen since Wrath and man, I didn’t miss it when it left. Worse, the return of it is wedged into the active mitigation system we got to replace it. Instead of picking one or the other, what we have now is the active mitigation method of generating resources to stay alive but you often have to choose not to use those resources to stay alive. Instead you simply have to trust your healers to hold you up while you desperately spend those resources to generate threat — which means the healers are themselves generating more threat trying to keep you alive. 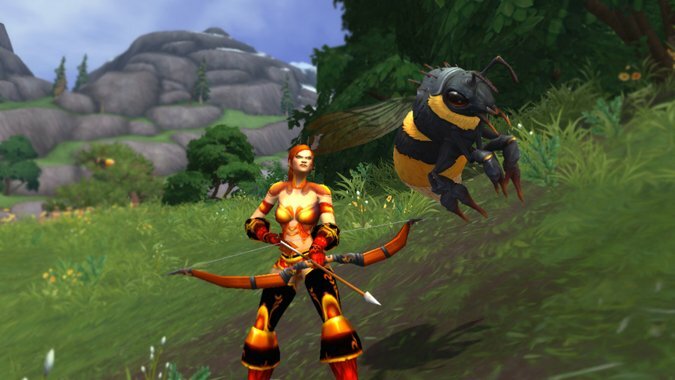 In all cases I’ve talked about — Hunter pets, Azerite Armor, and tanking changes — the same basic thing is happening. Older gameplay models and ideas — pet families, off sets for playing different specs, threat changes — and newer ones are both present in the game at the same time and they don’t coexist well. The new systems were often developed precisely to replace the older ones, and so, they feel arbitrarily shoehorned into place and actively antagonistic to more modern gameplay. Now, I’m aware that even as I’m mentioning this, I’m looking back to Legion and Warlords and even Mists changes, and so I’m somewhat guilty of looking backwards as well. You can’t escape it, and it’s even valuable, if you learn the right lessons from it. But this doesn’t feel like the right lessons have been learned to me — it feels instead like a chimera stitched together to try and shoehorn in antagonistic systems that were not designed to coexist. WoW is of course a venerable game by now, over fourteen years old. It’s fun to see the old world, and when the anniversary events roll along I’m always happy to see them. But I’m not happy to see the design ideas of a game from 2004 come shambling like Scourge into the modern game, because often they don’t fit when wedged in with new systems. WoW Classic has its place, and that place is self-contained, where it can be seen all as a piece and doesn’t have to class so abruptly with the following decade of development.